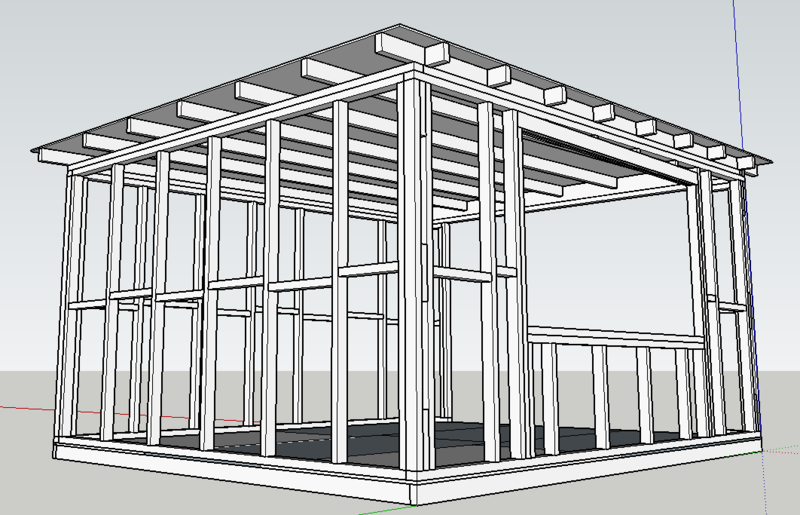 I'm planning a garden office DIY build, which will be restricted to 2.5m due to permitted development. In order to fit some large patio doors I've been given, I was thinking about using joist hangers directly attached to the doors' header. This gives me the size opening I need without breaching 2.5m - which putting the joists on top of the header would not. The only problem I can see with this is with regards to ventilation. My understanding is that with a cold roof, I need a 50mm ventilation gap, and I assume I'd need to fit a vent along the length of the soffit at either end for airflow - but with my proposed design, I'd only be able to have that at one end. Can anyone think of any solutions to this? I'm presuming a vent at one end only wouldn't be sufficient as the air wouldn't actually flow? insulating a cold flat roof - possible or not worth it? New garage flat roof - how to fit roof timbers?